AMERICA'S TOP DENTISTS in 2009 - 2015, 2018 Award by Consumers' Research Council. 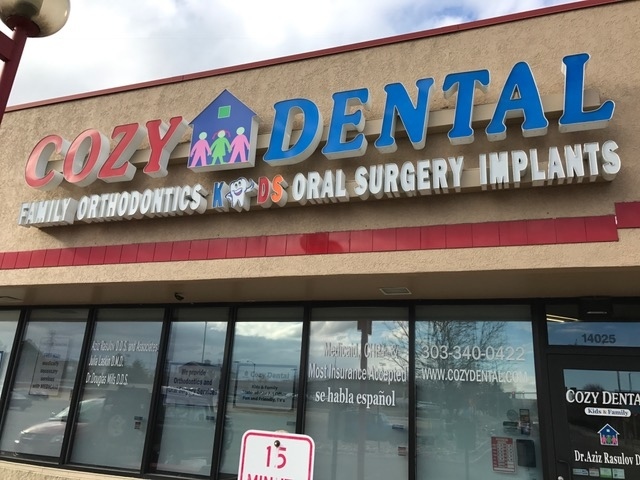 We would like to welcome you to Cozy Dental. We take great satisfaction in helping children and adults to maintain optimal oral health and we provide friendly, compassionate and gentle dental services. Our goal is to provide you with cozy, warm, comfortable home atmosphere at our State-of-the Art office. We love working with kids (any age) and enjoy working with adults. You will find a perfect family dental practice with us. 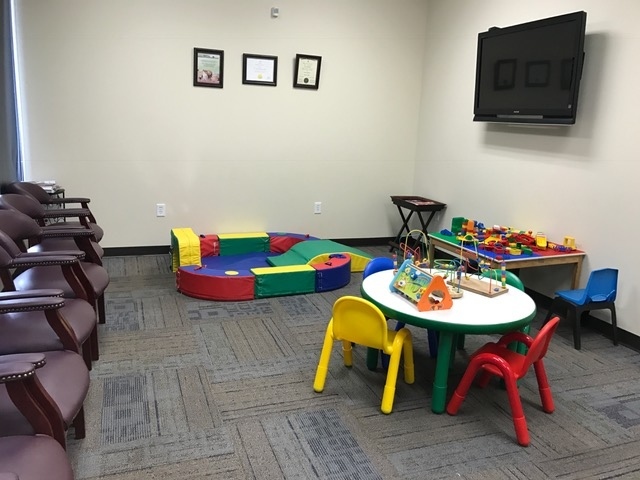 We are privately owned, not a franchise and therefore every patient gets individual attention.We provide full spectrum dental services for Kids and Adults including Orthodontics and Oral Surgery. Nitrous Oxide ("laughing gas"), Sedation (IV and Oral) and General Anesthesia available. We utilize advanced dental technologies, equipment, digital x-rays (up to 90% less radiation) and electronic chart records. Above every dental chair in Treatment rooms we play latest Netflix cartoons for young kids and movies for older kids/adults to help ease the treatment. We gladly accept most private Dental Insurances (PPO Plans), and Medicaid with CHP+. We give generous discounts for Self Pay patients. FREE medically necessary childrens services with valid Colorado Medicaid card up to age 21. In addition to English we offer Spanish, Russian and Persian language services. For adult patients we provide all aspects of General Dentistry including Implants, Teeth Whitening (Bleaching). We also offer Botox and Dermafillers. American Academy of Pediatric Dentistry recommends to visit a dentist by child's first B-day. Parents are welcome to accompany their children to the treatment rooms or wait in lobby and enjoy cable! Please let us know if your child needs school excuse note. 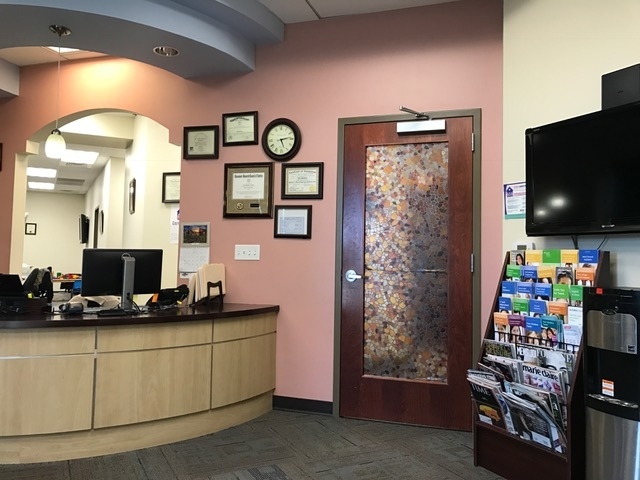 To expedite your appointment time we encourage you to print and fill out "New Patient Forms" on a "Patient Forms" tab and bring them with you. We are affiliated with a Surgeon who provides Oral Surgery services and comfortable tooth extractions, including Wisdom Teeth (IV sedation available). Every patient receives high quality thorough care. All our experience will be devoted to your precious child and yourself. $65 Child/Adult New Patient Exam ($150 value). This includes Exam, Consultation and X-rays. Dr Aziz and his team are amazing! What really good about this place is that they are a very family oriented practice. They see patients of all ages, literally from first tooth till my neighbor's dentures. They take the time to make sure you are comfortable and well informed. Their front desk staff greets you warmly and is willing to make your visit positive and comfortable as soon as you enter Cozy Dental. Doctors and assistants are very patient and knowledgeable. They are really good with scheduling an appointment the same day which is a huge plus if you need to be seen asap. Dr Aziz, thank you so much to take care of my son and me, appreciate your superior customer service and quality dental service each time we go to Cozy! We are your loyal patients forever! This is my 3rd appointment and I really like this place. Everyone is so attentive and nice. What I like about my Doctor is that he walks me through all the process so I can know. Every question that I’ Had has been answered perfectly. From the front desk to the Doctors everyone is very nice! 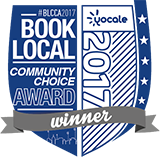 Thank you Cozy Dental!! These people are amazing, all staff members are so friendly! I was kept informed on what was needing to be done great prices too very professional!! front staff are very kind and helpful thanks Alma!!! Nice attentive staff! Dr. Mills and his assistant Milca made my son feel comfortable, they were gentle and sweet!! Amazing service! Very professional, nice and caring. Made every visit comfortable. Very professional! Front staff kind and helpful. Alma was very approachable and patient! Thanks for all the hard work!